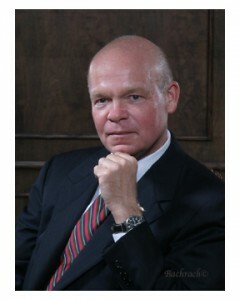 Doug Welty is a graduate of Rice University (B.A., 1974) and the University of Virginia School of Law (J.D., 1982). Between college and law school, he served as a Naval Flight Officer in P-3 Orion antisubmarine and maritime patrol aircraft. Mr. Welty is a member of the Virginia and District of Columbia Bars, as well as the Bars of the United States Supreme Court, the U.S. Courts of Appeals for the Fourth Circuit and the District of Columbia Circuit, and most of the special-purpose federal courts located in Washington. He was the first attorney in Northern Virginia to be certified by the Estate Law Specialist Board. A nationally-recognized estates and trusts attorney, Doug Welty is a member of the Virginia State Bar (Sections on Trusts & Estates and Business Law), the Virginia Bar Association (Section on Wills, Trusts & Estates), the Arlington County Bar Association (Section on Trusts & Estates), the Federalist Society, and the Christian Legal Society. He is a former Master of the Bench of the Federal American Inn of Court, and is an Honor Corps member of the Alliance Defending Freedom Attorney Network. Mr. Welty served as a Senior Editor of the Virginia Journal of International Law. He serves as a Continuing Legal Education instructor for bar association and private CLE programs. Doug is a member of the Northern Virginia Estate Planning Council, the McLean Estate Planning Council, and the NRA Foundation’s Volunteer Network of Estate Planning Professionals. He serves from time to time as a Guardian Ad Litem in adult guardianship cases. Mr. Welty is a former member of the Board of Visitors of the University of Mary Washington. He is a member of The Falls Church Anglican. Major Practice Areas: Estate Planning, Trust Design, Trust Administration, Wills, Trusts & Estates (including probate and post-death trust administration); Estate and Gift Taxation; Wealth Preservation; Adult Guardianship Law; Family Business Law; and Estate and Trust Litigation. Pro Bono Practice Area: Free Speech and Religious Freedom Litigation. You’re invited to contact Doug Welty by phone or email with your questions or concerns.